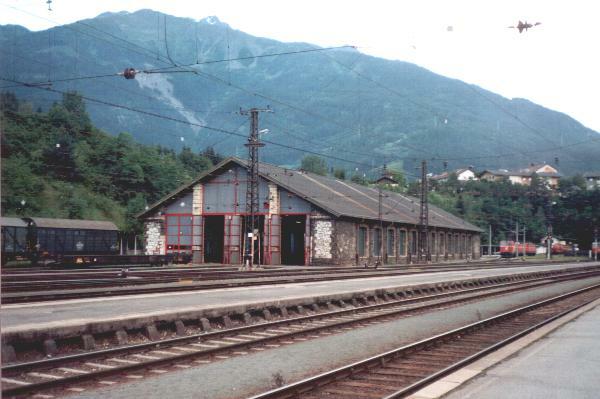 ÖBB railway station Landeck, 02-08-1994. 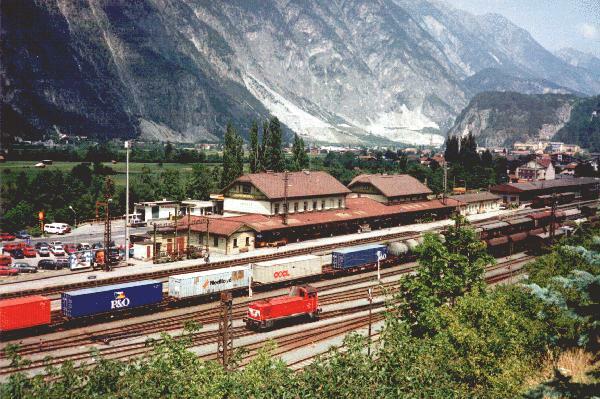 Photo and scan by Eddy Konijnendijk. 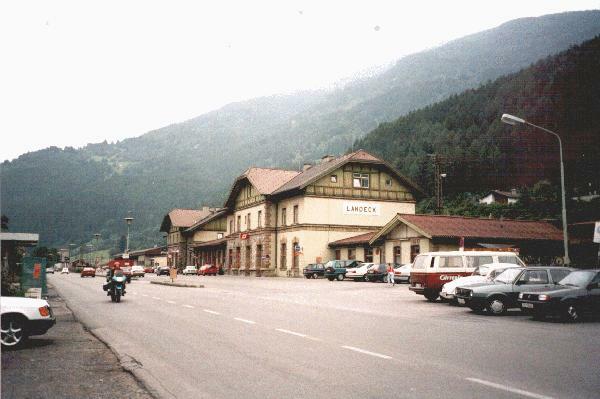 ÖBB railway station Landeck, 27-07-1996. 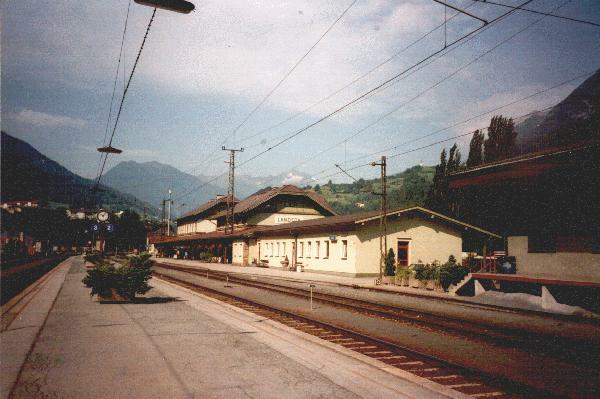 ÖBB railway station Landeck, 07-08-1996. 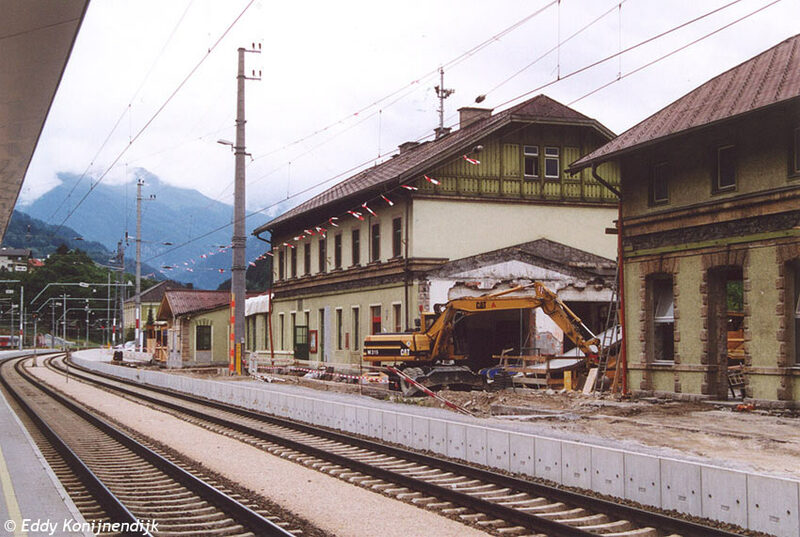 ÖBB train workshop in Landeck, 29-07-1997. 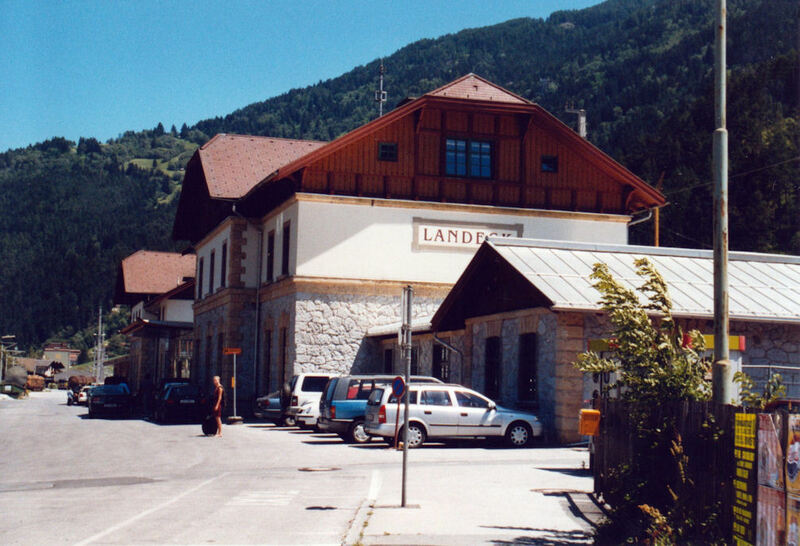 ÖBB railway station Landeck-Perfuchs, 28-07-1994. 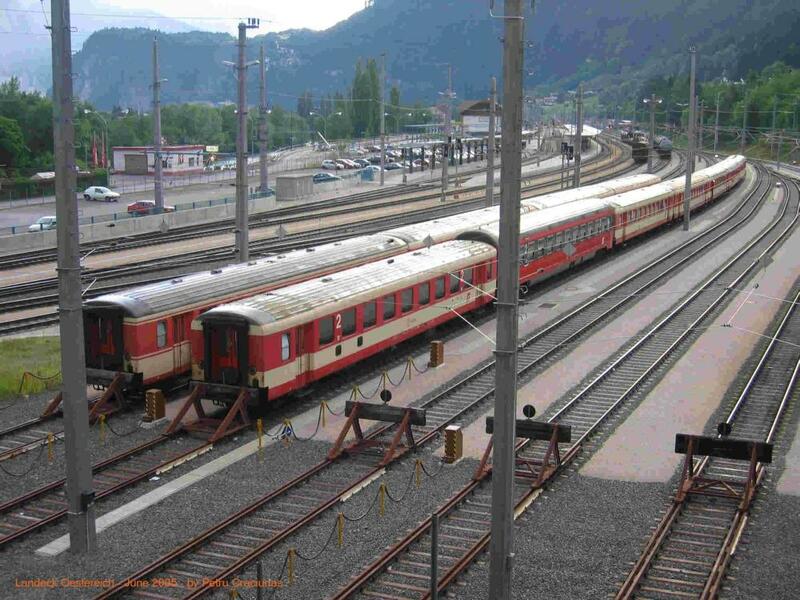 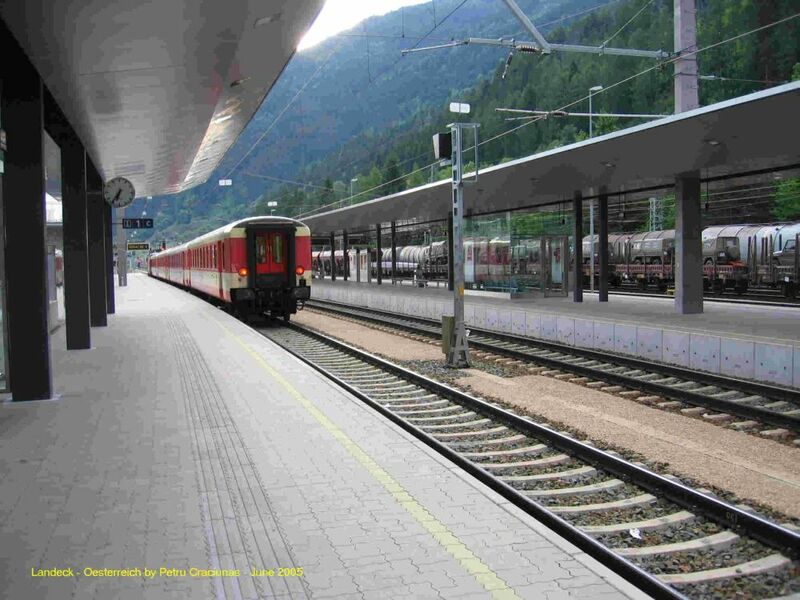 From Monday to Saturday there is stopping one train here, 7h15 to Innsbruck Hbf (ÖBB timetable 1998/1999). 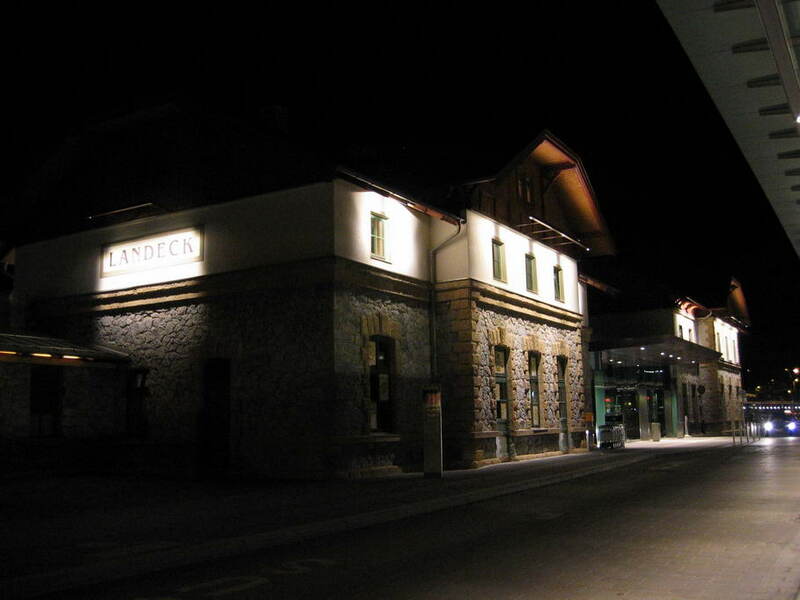 Streetside view of Landeck-Zams station building located on the Arlberg Railway (route km 71.837). 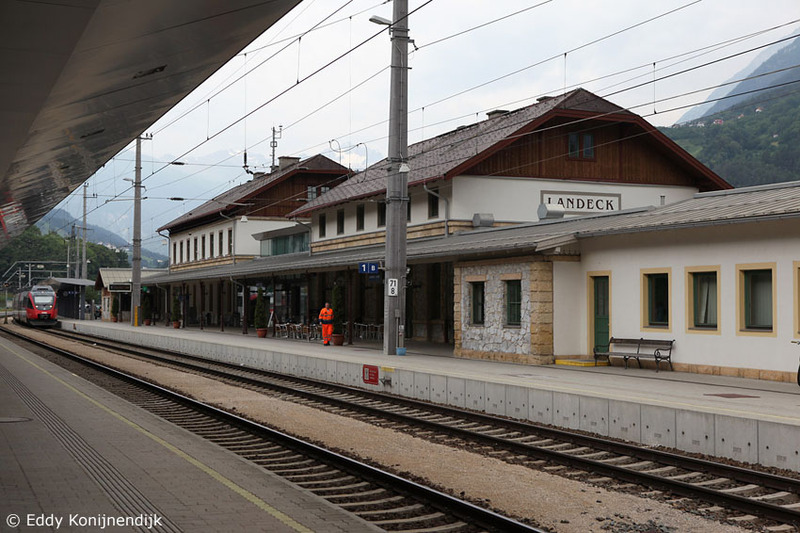 It is frequented by more than 2000 travellers a day, whereby a majority of them are commuters that are working or studying in Innsbruck. 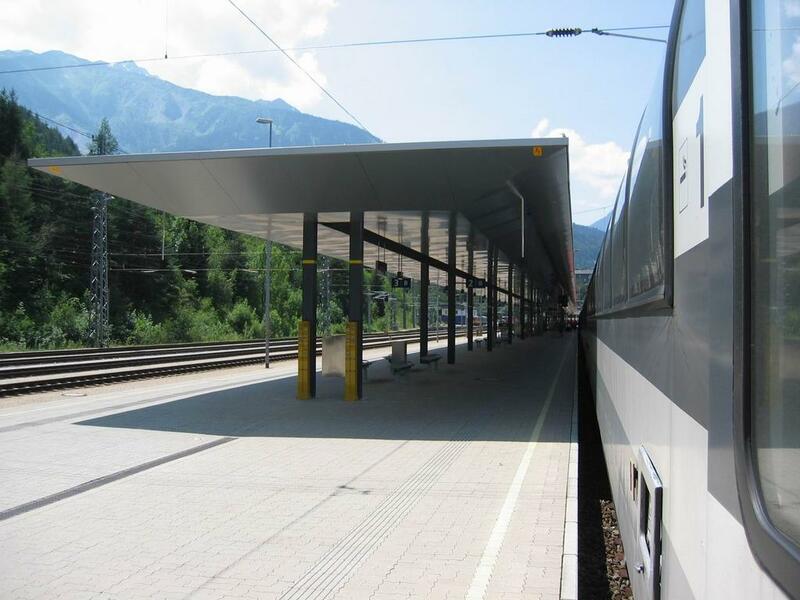 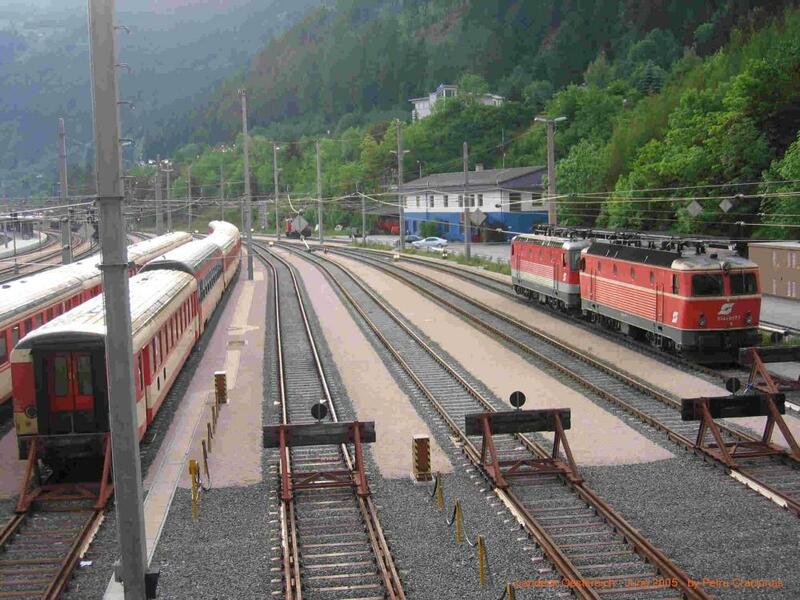 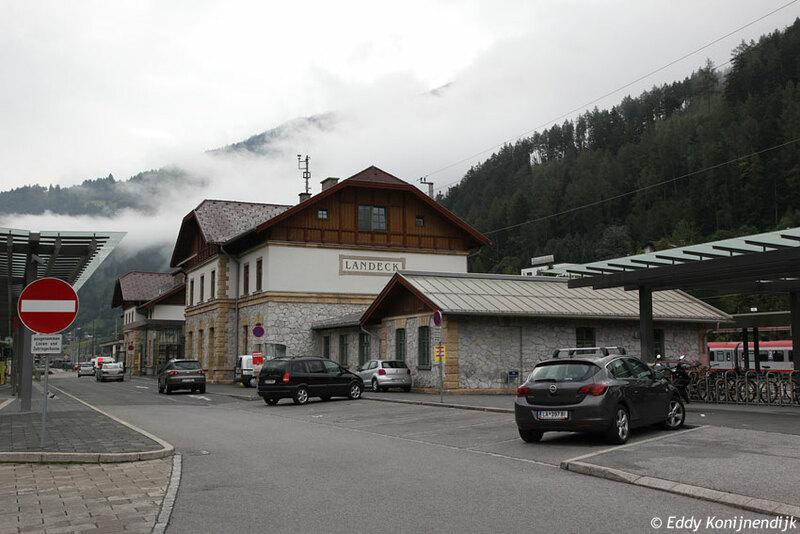 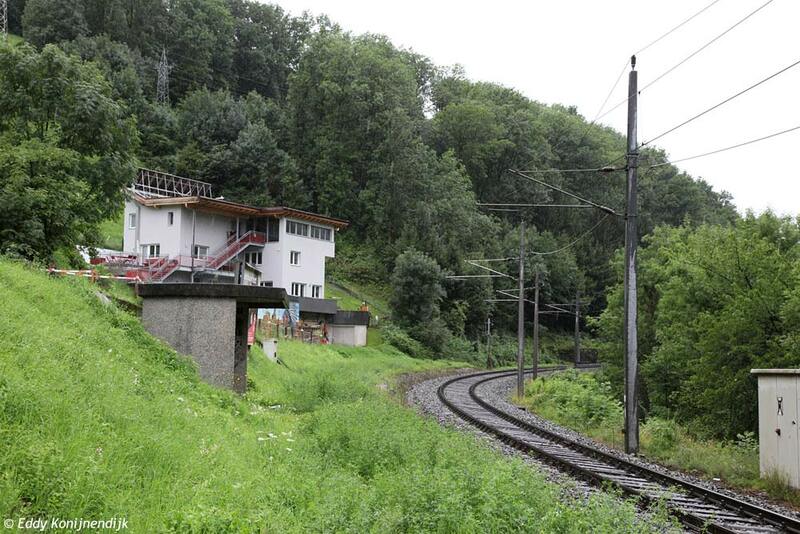 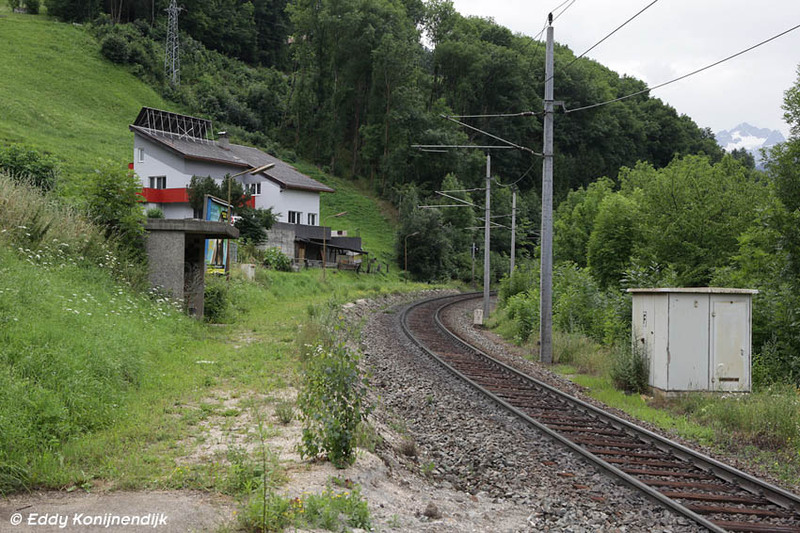 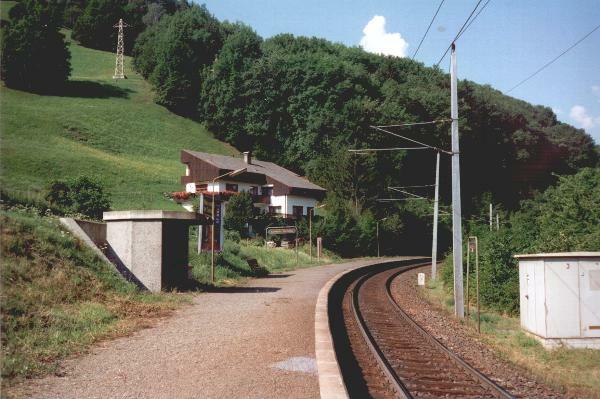 Beside its function as an important commuter station, Landeck-Zams also serves as an important station for the operations flow on the Arlberg line, since the ramp section of Europe's most difficult mountain railway (max. 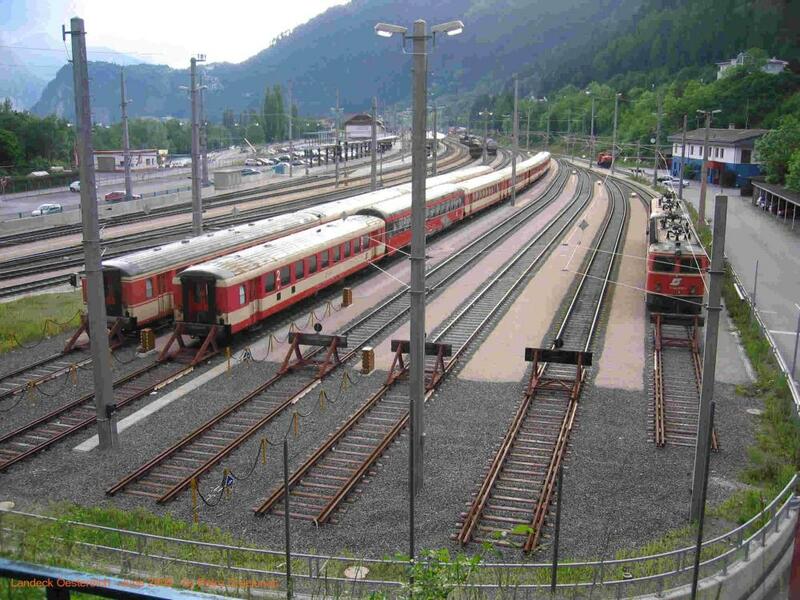 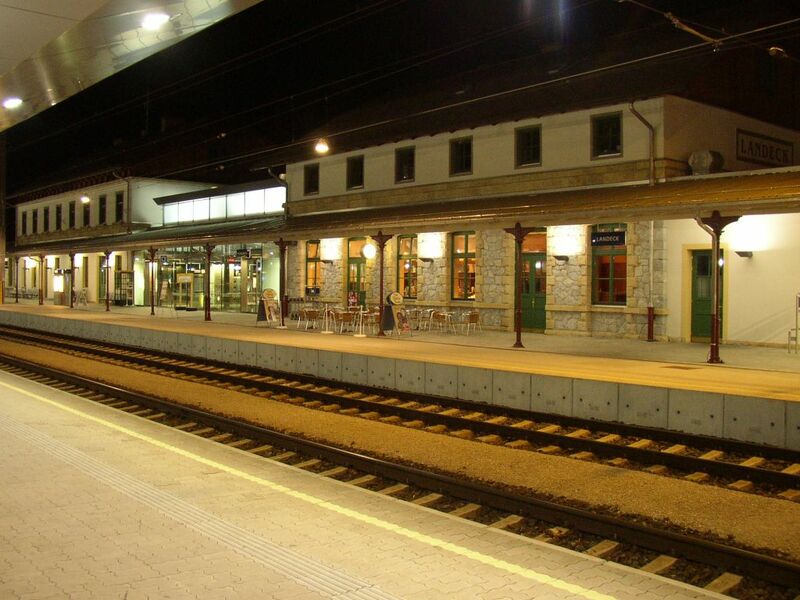 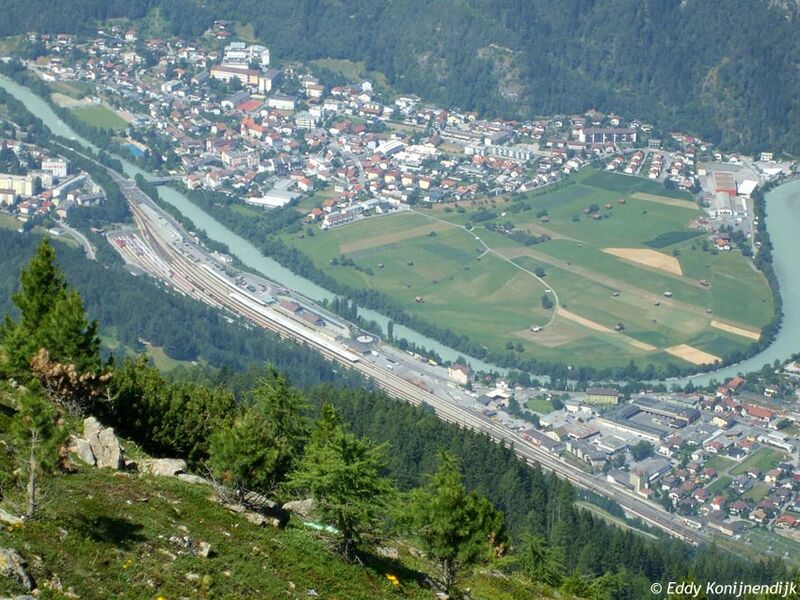 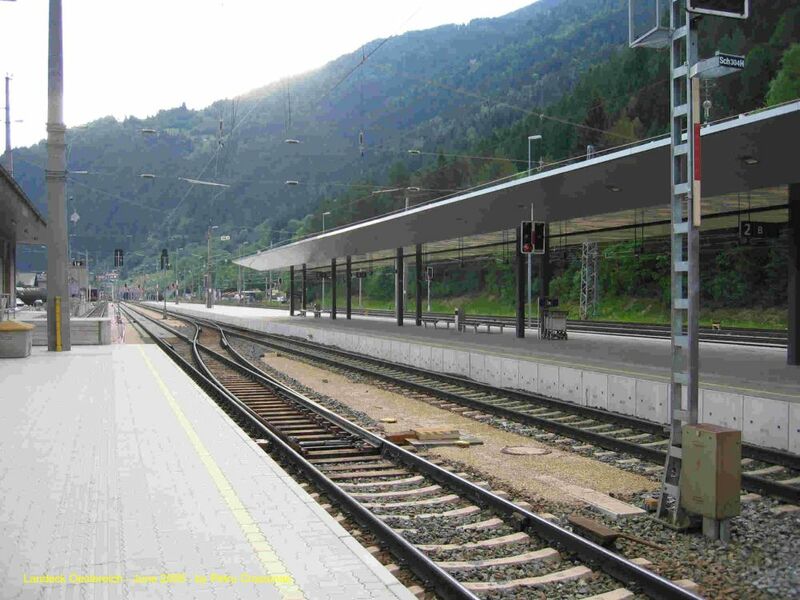 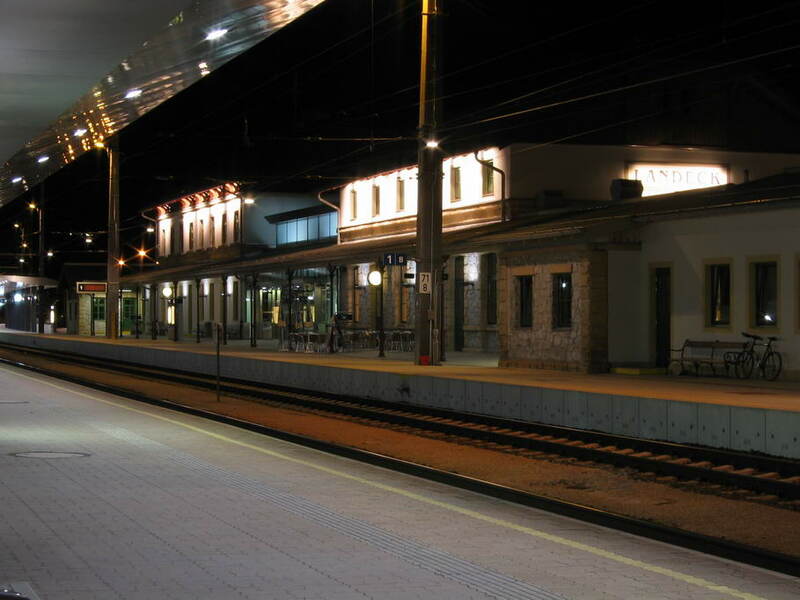 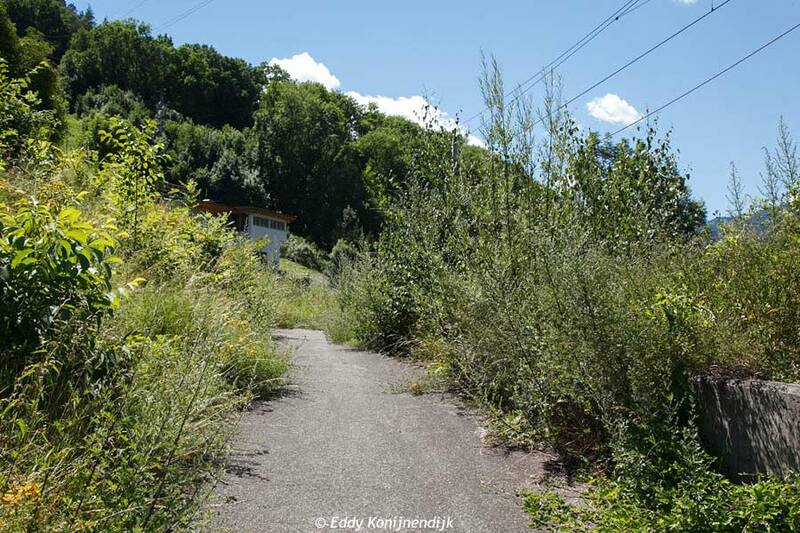 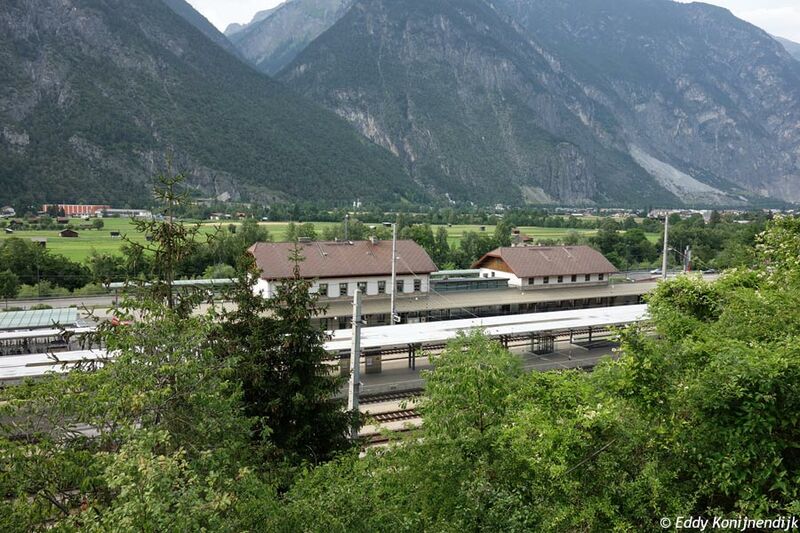 26 � on the east- and 31 � on the west-ramp) starts in Landeck. 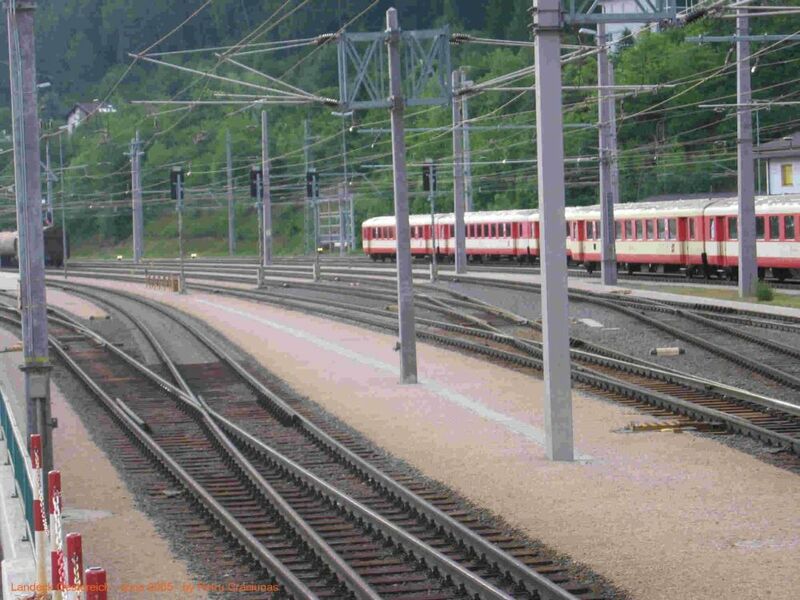 Photo taken Saturday 21 June 2003.